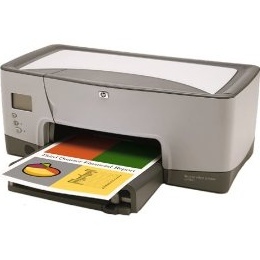 Create your own HP OfficeJet 7100 inkjet pack / bundle with our flexible quantity discount pricing. Mix and match products so you are only purchasing what you need, but also maximizing your savings. Remanufactured Tricolor Ink Cartridge with 470 page yield. Equivalent to HP part number(s): HP 14 Color, C5010AN, C5010D. 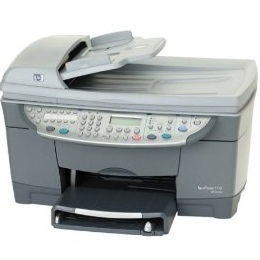 Fits the following model(s): HP 7100. Remanufactured Black Ink Cartridge with 800 page yield. 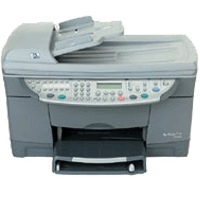 Equivalent to HP part number(s): HP 14 Black, C5011AN, C5011D. 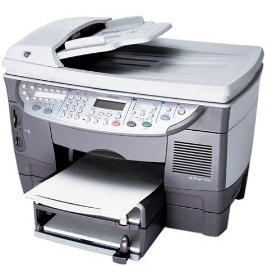 Fits the following model(s): HP 7100. 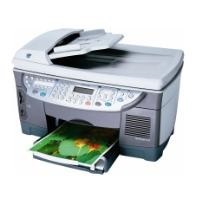 Buy our high quality compatible ink for HP OfficeJet 7100 with confidence. Join thousands of happy customers who have found our compatible products are equivalent in page yield and print quality. For our compatible products, we offer a 100% Satisfaction Guarantee allowing you to return products within 6 months if you are unsatisfied. 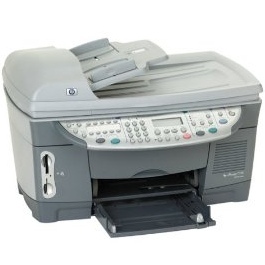 The HP OfficeJet 7100 combines both business and personal features into its low-cost design, allowing users to tackle a range of needs, from printing family photos or school papers and duplicating a job to sending a scan or receiving an incoming fax. While output speeds of up to 23 pages per minute for text documents isn't the quickest, it should be adequate to handle low volumes. This inkjet device offers a solid all-in-one design, but its slower output coupled with low-capacity OfficeJet 7100 printer ink and small paper input make it better suited for home offices rather than small offices. The 7100 is among the more compact 4-in-1 units in its class, measuring at just 22x16x7 inches that makes it small enough for desktops. This slim build incorporates a nice package of office-centric features, such as double-sided printing and copying, a 50-sheet automatic document feeder for continuous scanning and a full numeric keypad to dial fax numbers. Users can access this pad straight from its front panel, which also includes a status LCD for updates on jobs, paper and HP 7100 printer ink levels, along with dedicated copy and scan buttons. 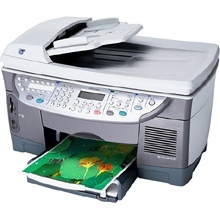 The 7100 is equipped with a variety of options for connectivity, such as a standard USB port, and ethernet interface for networking and memory slots that support direct photo printing from cards like CompactFlash, Secure Digital and SmartMedia. Users can the unit to their computer in order to access the included software bundle, which can be installed on devices running Windows or Mac operating systems. The 7100 can handle an assortment of media types such as glossy 4x6-inch photo paper, labels, banners, envelopes and plain paper. 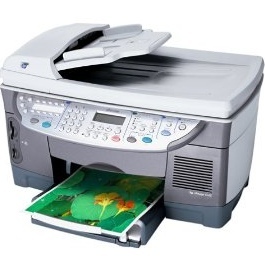 Due to its ability to only handle up to 150 pages in its single input tray and its support of a monthly duty cycle of around 1,000 pages, this inkjet printer is ideal for light-duty needs. This machine can print photos, graphics and text with a maximum resolution of 4800x1200 dpi using black and color OfficeJet 7100 ink. The unit's print system includes one tricolor supply and one black HP 7100 ink cartridge, which can be replaced with affordable remanufactured options. Each tricolor HP 7100 ink cartridge can last up to 470 pages and the black supply has a capacity of 800 pages. 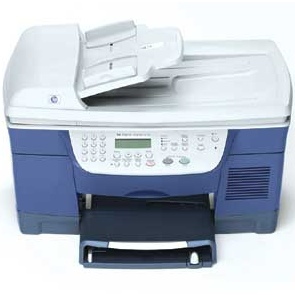 A casual glance at the 7100 may cause small office buyers to believe it can support their needs, but due to limited features like its print supplies and media handling it is better suited for home multifunction needs. Small volume capabilities doesn't mean it is limited in terms of built-in features, however, providing users with ample connectivity and a versatile front panel.